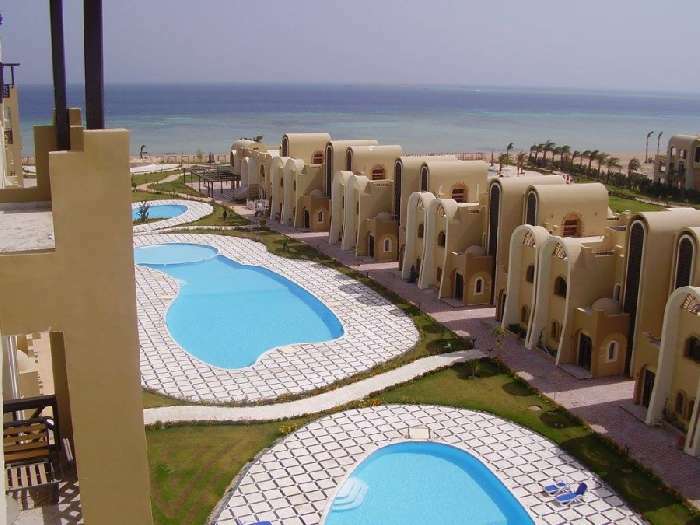 Sun Gate Residence is a fabulous 5* beachfront apartment complex located in the beautiful bay of Sahl Hasheesh in the Hurghada area of Egypt. 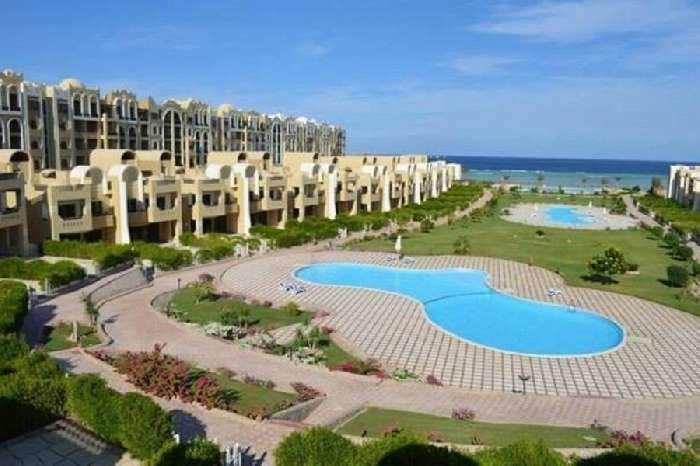 Sahl Hasheesh is a man-made, gated community with its own bars, shops, supermarkets and restaurants and is one of the most up-and-coming areas in the region. 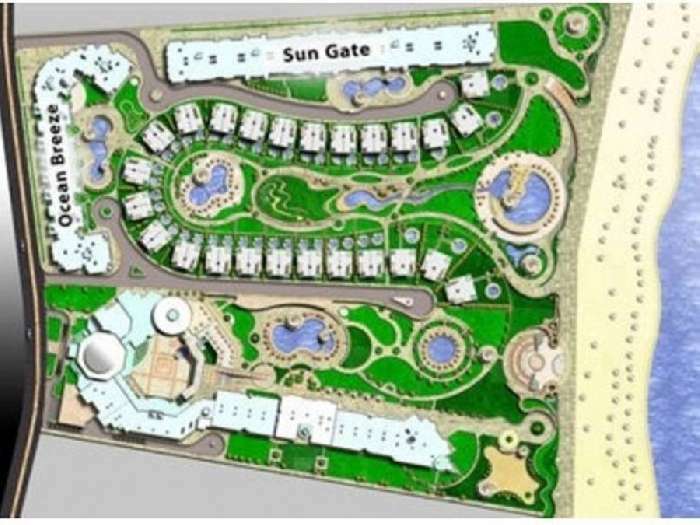 The complex has wonderful facilities and owners can avail of the private pools, gardens and beach. 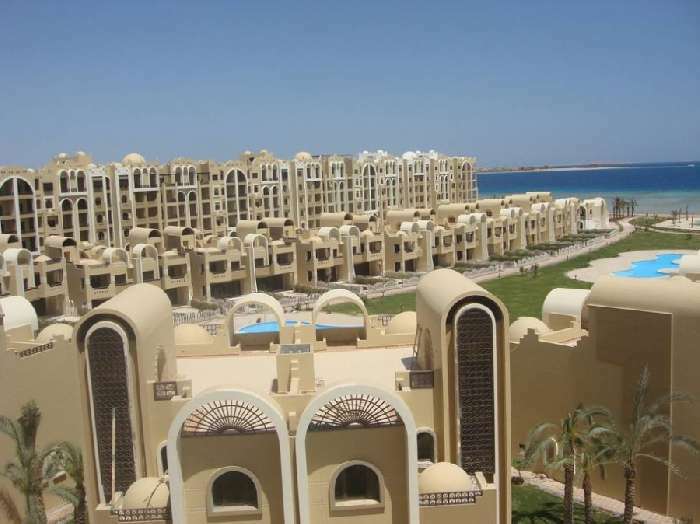 This 101 sqm apartment for sale in Sahl Hasheesh, Hurghada is on the fourth floor of the apartment building with fabulous views of the pools, gardens and the sea. The main living space has an open plan kitchen, dining and lounge area with access to a balcony. 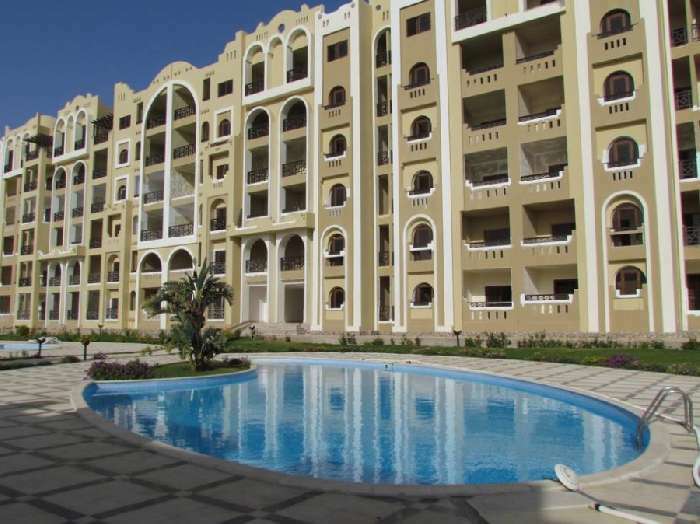 It has two double bedrooms, one is en-suite, and there is a small balcony off one. The main bathroom is fully equipped and has an electric massage jet shower. 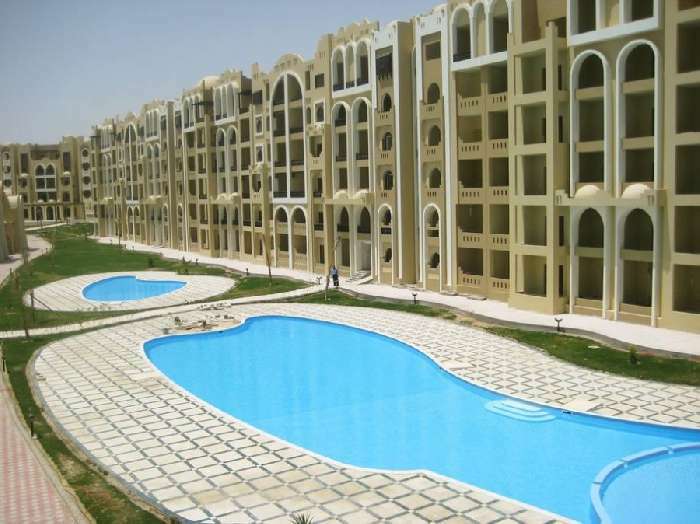 The complex offers a luxury lifestyle in a fantastic location and this is the perfect place for an investor to buy a property for rental purposes as requests for all year rentals are very high. 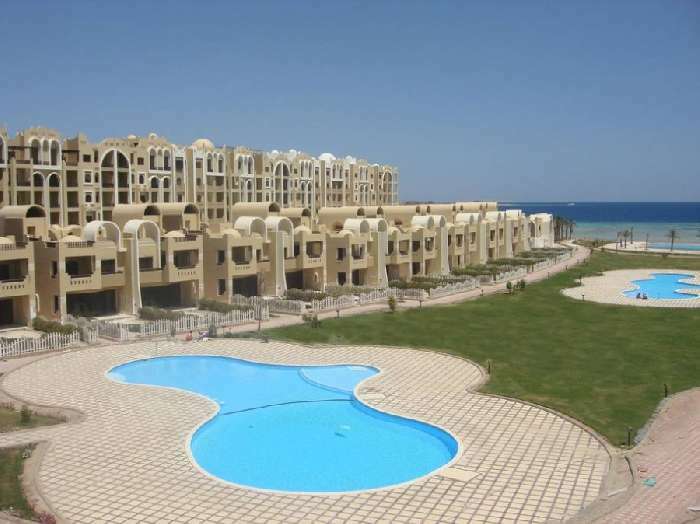 It is also the ideal area for a family holiday home in a complex with everything you could need. 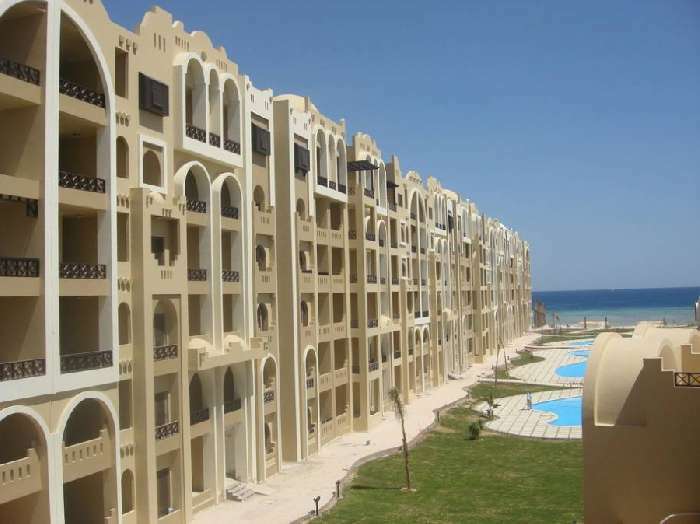 An excellent opportunity to buy a 2-bedroom apartment in Egypt with great rental potential! !